Post sponsored by Montreal English Jobs that will pay you the most. The rescue teams are looking for a woman of French nationality of about 35 years who has fallen into the sea this afternoon in the coastal area of s’ Algar de Portocolom, in the Mallorcan municipality of Felanitx, has reported Maritime Rescue. The 112 emergency service has received notice from the husband of the tourist. Both walked through this area and, after rushing to the water, the husband had gotten into the sea to try to rescue her, but did not succeed. To the search in the east coast of the island, a helicopter of Maritime Rescue has been incorporated, as well as members of the Local Police of Felanitx and the Civil Guard. On the other hand, 112 has reported that until 1730 hours have registered 87 incidents in the Balearic Islands related to the rains that are recorded today in the archipelago. 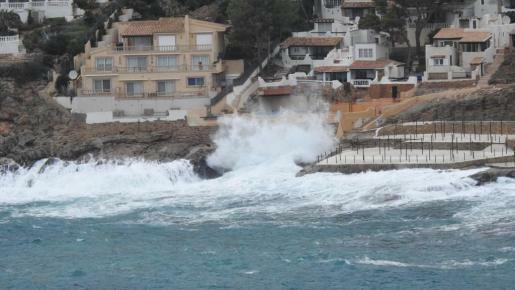 A total of 75 have taken place in Mallorca -45 in Palma and 9 in Menorca, mainly tree falls and landslides of urban elements.